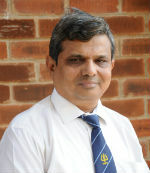 Dr. Narendra Phadnis is working with Institute of Management Technology, Nagpur as Professor of HRM & Law since 2004. He was a Practicing Advocate and a Management Consultant in the areas of Labour Law, Business Law and Industrial Relations from 1990 to 2003. He worked with Mahindra & Mahindra Ltd. as HR Manager from 1983 to 1989. Dr. Phadnis holds Ph.D. in Business and Labour Law and Master’s Degree & Post Graduate Diploma in Human Resource Management. He was a Visiting Faculty for HRM & Law Courses at reputed Management & Law Institutions since 1983. Master of Labour Studies (M.L.S.) Human Resource Management, Organizational Behavior, Industrial Relations & Labour Law, in 1983 from University of Bombay, Mumbai. PG Diploma in HRM, in 1983 from University of Bombay, Mumbai. National Eligibility Test - NET (HRM) University Grants Commission (UGC). PG Diploma in Training & Development (Dip. T& D) from ISTD New Delhi. Ph.D. (Labour Laws) in 2001 form RTM Nagpur University, Nagpur. Master of Laws (LL.M.) Business & Labour Laws (Commercial Law Group), in 1993 RTM Nagpur University, Nagpur. PG Diploma in Cyber Law (DCL), in 2007 from Asian School of Cyber Law (ASCL) Pune. PG Diploma in Intellectual Property Rights (IPR) from ASCL Law School Pune. Joined IMT-Nagpur as Full Time Associate Professor OB-HRM & LAW in May 2004. Working as Full Time Professor in above areas at IMT-Nagpur from April 2008. Practicing Advocate in the area of labour & service/employment laws (1989 - 2004). HR Manager with Mahindra & Mahindra Ltd., dealing with Personnel Administration Industrial Relations, Labour Welfare & Industrial Labour Law issues (1983 - 1989). Legal Aspects of Business- Law of Contracts, Consumer Law, Corporate Law etc, Constitutional Provisions about Business. Teaching, Research & Publication, Consultancy Services in Business Law, Industrial Relations & Labour Law issues. Training & Development (MDP) Programs on Legal, Behavioral and Soft Skills aspects in Industry. The Research Paper titled 'Job Outsourcing at Workplace(s) in India: Employment Law Issues & Implications' finds place in an edited book titled 'Innovation in Management Practices' published by Macmillan India Ltd. (ISBN 023-063-716-7) Page Nos. 3 to 11. The Research Paper titled 'Legal Aspects of Disciplinary Action in Industry- Critique & Remedial Measures' finds place in an edited book titled 'Changing Dynamics of Human Resources' published by Excel India Publishers (ISBN- 93-80697-46-5) Page Nos. 461 to 473. Research Paper titled 'Copyright Issues under IT & IP Laws in India' published by Excellent Publishing House (EPS) ISBN- 978-93-81583-11-1. IJACP (International Journal of Academic Conference Proceedings)- Recent Trends in Business Management & Information Systems- ISBN- 978-93-82563-39-6 at Page Nos.423-430.Paper Titled- Contribution of Ancient Indian Ethos in Developing Global Mindset in Leadership & Management. Presented Research Paper on Advertising Laws in India in a National Conference on Advertising & Brand Building "AD-IMPACT" organized by Birla Institute of Technology (BITs) Noida in August 2007. Presented Research Paper on 'Bhagvad Gita & Management' in an international conference in January 2008 organized by Indian Business Academy, Bangalore. Presented Research Paper titled 'Job Outsourcing at Workplace(s) in India: Employment Law Issues & Implications' at an International Conference IIRB2008 jointly hosted by University of New Castle Australia & IMT- Ghaziabad on 18-19 Dec.2008 and also chaired the technical session. Presented Research Paper on Legal Aspects of Disciplinary Action in Industry- Critique & Remedial Measures at IES-MCRC International HR Conference on 11th January 2011. Presented Research Paper on Copy Right Issues under IT & IP Laws in India at International Conference ITBI-11 on Nov 25-27, 2011. Presented Case titled 'A Fire Fighting Manager' at International Case Conference (ICC-2011) on Nov 03-05, 2011. Presented case titled 'Managing Discipline- A Managerial Dilemma' at International Case Conference (ICC-2012). Presented a Paper titled 'Contribution of Ancient Indian Ethos in developing global mindset in leadership & management at International Conference at Singapore. Participated in the National Conference on Emerging Trends in Human Resource Management held on 29th Sept. 2011. Chaired the Technical session at Global Business & Finance Conference (GBFC-2012) on Feb. 10-11, 2012. Presented a Case titled. 'Job Outsourcing on Company's Premises' at ICC-2013 Goa International Case Conference in Sept. 2013. Presented a Research Paper titled, 'An Apprentice Vs Workman under Industrial Employment Laws in India- Critique & Remedial Measures' at 2nd International Conference on Managing Human Resources at the work place organized by SDMIMD Mysore in December 2013. Conferred with ‘Best Teacher Award’ in ‘Human Resources Management’ by 18th Business School Affaire & Dewang Mehta Business School Awards held at Mumbai in Nov.2010. Conferred with ‘Best Professor in Human Resources Management’ by 22nd Business School Affaire and Dewang Mehta Business School Awards held at Mumbai in Nov. 2014.